With the recent release of Postman 5.0 in July, Postman opened up professional-level features to everyone for free, in small-project quantities. People are using Postman to publish API documentation on a custom domain, monitor the health of their APIs in production, and simulating a back end with a mock server. When Postman first introduced mock servers, we demonstrated how teams can work independently and in parallel by decoupling the development process. However, we discovered that teams are using mocks for so much more. Want to try it out yourself? 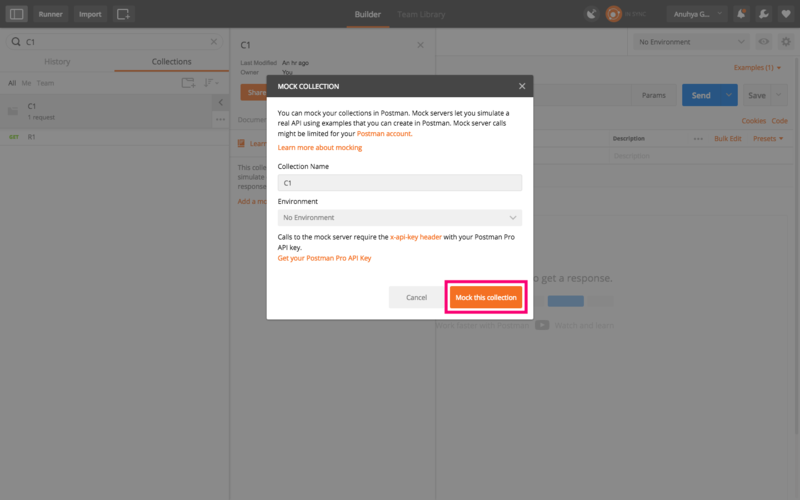 Learn how to set up a mock using the Postman app or the Postman API, or take it even further by simulating responses in Postman using examples without ever deploying an endpoint. 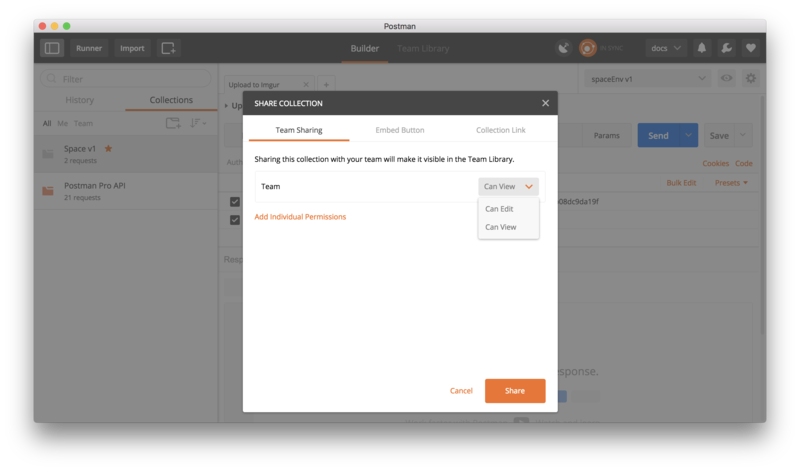 Once the mock has been created, Postman Pro and Enterprise users can share the mock with their team for review and collaboration. This is accomplished by sharing the underlying collection with the team or specific team members, providing permissions to edit or view. Are you using a Postman mock server? Tell us about it in the comments below.